THE AUTOMATIC MACHINE FOR COLD COILING OF SPRINGS is designed for low temperature coiling of cylindrical, conical, and barrel-shaped springs with constant and variable pitch of right-hand and left-hand coiling out of wire of round section. It can be used at metalware shops of engineering plants under conditions of temperate, cold and tropical climate. 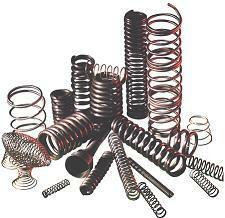 Carbon steel spring wire of the class II and II A, alloyed steel spring wire, hot-rolled spring wire. The greatest length of preform of a spring, mm.